Specific model info can be found on the rumours index page (along with lenses and printers). 30th In several comments [thanks] we’re told that the upcoming high MP Canon sensor will be based on the 4.2 micron 70D/7D2 pixel design, not Canon’s long lived 4.3 micron 18MP one. This gives around 52MP at full frame rather than 46MP. The main reason for delays in ‘big megapixel’ designs has been getting an economical yield from the sensor manufacturing process at full frame. I note that at [CR] they have been told that the camera could be the 5D mk4, which could also fit in with suggestions that the 6D2 will move upmarket. – Panasonic is working on 6K and 8K video recording. 8K will come before 2020 (Olympic year). 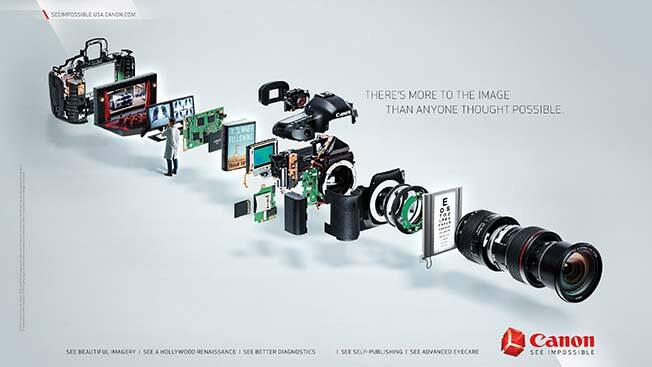 – Micro Four Thirds is the perfect sensor size for Panasonic. But they not rule out to create a second larger sensor size system. A quick note that Epson have sent me an SC-P600 printer for a review – if anyone has any specific questions for the review, please just let me know? APS-C for now, Organic sensors not coming soon, 25MP is a reasonable limit for APS-C, Video is being looked at, more dynamic range is an important improvement. “– We are not focused on classic Mirrorless cameras only. We also work on completely new kind of cameras (like the Open Platform Lens Camera prototype). – Olympus says MFT has the best size-quality balance. And Olympus main priority is to strengthen the line. – On the tech front Olympus wants to make cameras that are faster, consume less, better High ISO and with increased Dynamic Range. – There is a possibility to also use different kind on non-Bayer sensor. – we have no specific plan yet to use larger sensors (like Full Frame). “1) SLT cameras have the advantage of larger bodies. There is more space we can use to implement certain tech (SAR note: He doesn’t mention what exactly they plan to do). And he confirms they will continue to develop A-mount cameras and lenses. 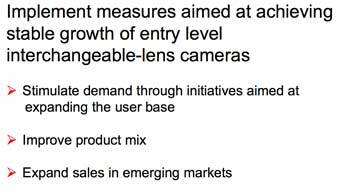 2) Increase sensor size or increase Megapixel numbers is things we will do if customers demand for it. 5) Light Field camera is something Sony is studying and may could come in a not so distant future. 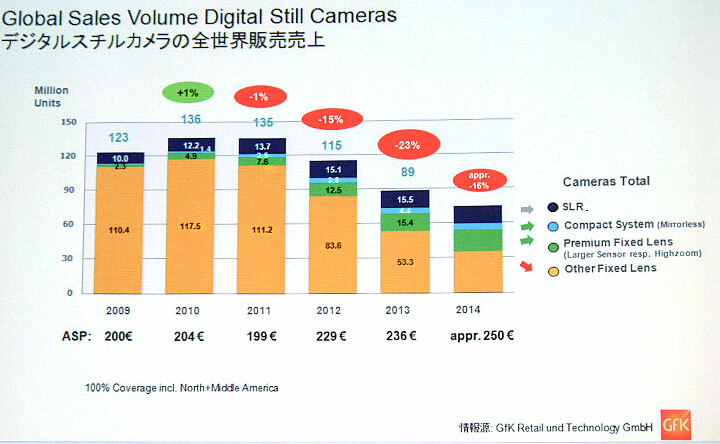 7) Sony says DSLR sales are down because of lack in innovation. Sales of mirrorless are up because they became more advanced (not only because of the more compact size). 8) Both APS-C and Full Frame sensor cameras have a future. Wild life photographers prefer APS-C while landscape photographers prefer FF. 9) We will not make a Medium format system camera yet because we are already busy working to broaden our A and E-mount lens line. Well, pick from those what you like. How do these pronouncements signify actual developments, and do they address, in any way, the cliff over which camera sales appear to have fallen (see below)? Sony seems to want us to believe that it’s lack of innovation that has caused the plunge in DSLR sales, whilst Canon also says that new models need to show clear technical advances. Both Sony and Canon are happy to say that the door is still open for medium format. I guess neither would want to repeat the ‘nobody needs full frame’ marketing message I got from Nikon in 2004 (when I started our photo business) and got my first DSLR, an 11MP full frame Canon 1Ds. In an interview at DC Watch [DCW – Google xlt] see also [DCi comments – Google xlt] there are more comments from Masaya Maeda of Canon. – Lenses are the most important thing to us. – The annual model update cycle is no more. Model changes to be driven by significant technical advances. – There will be a high MP camera before long. 16th There is more mention of Canon using a Sony derived sensor [CR] in DSLRs. In particular, the oft rumoured 46MP one. Just like at CR I’ve seen it mentioned (nothing of real substance) and filed it away along with those ‘whatever’s best’ interview remarks about sensor use at Photokina. Whilst a cross licensing or some other arrangement between Canon and Sony isn’t impossible, anything that does happen would be much more complicated than ‘just’ putting a Sony derived FF sensor into a Canon body. What do we actually know? I’d look at that graph below, and the timeline further down the page. In terms of general comments we’ve had, there have been more suggesting big changes to the model line-up in 2015 than I’ve seen for a while, but how the companies address the long term decline in camera sales is perhaps more important. How long will/can we see ‘business as usual’? From my own POV I’m keen to see what companies introduce at the top end, to keep their profitability up. Oh, and in the ‘real toys to play with’ category, I’ve just finished a short review of a new 28 foot carbon fibre mast – light enough and small enough when collapsed that I’m far more likely to keep it in the back of the car for ‘just in case’ when I’m doing some of my architectural work. 12th With signs of a 46MP DSLR next year from Sony [Sr] and presumably a similarly Equipped Nikon D8xx version before too long, are Canon going to move into this area? Several people have told us they will, but as yet no details have emerged. 8th Sony have a patent for a global shutter element in pixel design, that can also be used for pixel level phase AF detection [EG – Google xlt] The pink bits below represent elements that can have their transmission altered. Use it across the full pixel width and you have a global shutter, whilst use it across just part and you get a pixel design that could be used for Phase AF. A perfectly good (and well used) technique for studio use (and continuous lighting), but not so great if anything moves. So, at the moment it’s a new EOS-M some time, with one or two full frame cameras for Q1/Q2 next year (one of which may set new MP records for Canon). The 70D sensor (or a variant) should appear in the 700D and 100D successors, whilst Canon may bring in an EVF and a revolutionary new sensor. Lots of lenses are due for replacement, we just don’t know when, although a possible EF11-24 could show up soon. Yup, I’ve been running our rumours pages for just over 10 years and I still don’t know what I’ll be spending my money on next year. If you haven’t read Thom Hogan’s article below, then do so. BTW The Northlight site’s front end (the commercial photo stuff) is due for a big makeover some time next year, and I’m determined to expand the articles and reviews. 2nd A roadmap presentation that showed some of Sony’s views of the future in imaging has plenty about new things, but hidden in plain sight are some chilling numbers for any makers of larger cameras. Have a read of Thom Hogan’s view – nothing in it I’d disagree with. The lifetime of the 7D and 700D may signify a slowing in the model iteration cycle, but I do wonder how the venerable timeline will look by 2019. By the end of next year (and definitely by 2016) I’m told that Canon’s model lineup will look quite different with big changes at the top and the bottom. 25th Suggestions [CR] of an all new camera at 50MP (FF), and EOS M this year and an xxxD series camera (aka ‘Rebels’, in some markets ;-) early next year. 21st The Digital black and white photography LinkedIn group I run, has reached 7000 members. If LI is part of your social media and you’re interested in B&W photography, then feel free to give it a look. Those of you following this sort of stuff will remember the fuss about Foveon a few years ago – maybe this time we’ll see something more widely adopted, although probably first in phones? 9th I was asked if I’d still pour cold water on DxOmark scores for cameras and lenses if Canon came out top. Yes, but only the overall scores – there is useful data in what they have produced, but those headline numbers are just so much hokum, if the methodology isn’t clear (and IMHO probably useless even if it was). I couldn’t put it much better than Thom Hogan does. After you’ve gone to all the trouble making DPAF pixels, why not use them with the mirror down to extend the AF imaging area. Making more of the mirror partially reflective lets light through. The sub mirror is still there to send light to the AF unit below. A Canon patent [EG – Google xlt] suggests this. If you scan film, I’ve just completed a longish review of Epson’s brand new V850 scanner. Two sources of gloom, one real, one largely imagined. Camera shipments (DSLR and Mirrorless) continue to decline at a rate that can’t fail to worry many companies. There are many more such graphs and charts at PersonalView. Note that these are shipment numbers not sales. Even so there is a very distinct trend. The trend actually reminds me of the last three solar cycles [22/23/24], but obviously over a shorter period). The DxOMark tests are out for the Canon 7D mk2. Judging from some of despondent comments I’ve seen, Canon might as well give up now and shut up shop. Nothing better illustrates the gulf between those who evaluate cameras on specifications and those who take photos, than to look at some of the early reviews by good photographers. Don’t get me wrong, as someone who shoots mostly at 100 ISO, I’m looking for a camera that excels at low ISO, and higher ISO is just so-so for me. I find the DxO numbers useful information, but only part of the story – I have particular issues with the obcsure way they create ‘overall’ scores – the fact that they boil lots of measurements down to just one number just yells at me to ignore it. Does this lead me to change my view that the 7D2 will be a great success? See also this interesting post on DPR concerning aspects of 7D2 sensor performance. 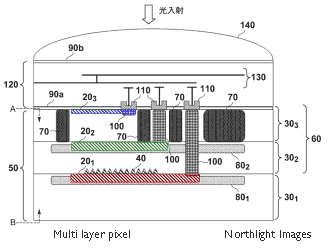 5th A Sony patent [sr] mixes pixels with long and short exposure times to extend dynamic range. As well as reducing light bouncing round the inside of the camera, it potentially means more light going into the pixels below. Previous info has pointed to various multi-level sensor patents, and there are the comments from Sigma (27th below) that suggest they regard both Canon and Sony working on such devices. My own feelings are that Canon’s sensor design and manufacturing is too important to them to take it out of their flagship cameras. Q: Canon released two cameras at Photokina – the EOS 7D Mark II and PowerShot G7X. One thing we’ve learned is that the sensor in the G7X is not made by Canon. Does this represent a new philosophy at Canon? A: We select the best sensor, whoever the manufacturer is. That’s our policy. As yet I’ve seen nothing to suggest that Canon’s choice of (small) sensors for the compact market will be reflected in their pro kit. The comparison with Nikon using Sony manufactured sensors (with Nikon design input) is an easy one to make, but misses the point that Nikon is primarily a camera company, whilst Canon isn’t, any more than Sony is. 29th In the UK, Amateur Photographer magazine picked up on the ‘6D Discontinued’ rumour and checked with Canon – as expected, Canon says it still current. “There is no technical barrier in making a medium format Foveon sensor. The resulting huge amount of data to deal with is an issue though, since it is much trickier to manage the data from such a sensor than from a regular Bayer sensor. The current Quattro camera utilizes a very powerful, expensive chip to perform that work. Anyway, for now, the current APS-C sensor is a strong contender to the best current Bayer sensors, according to Sigma. 25th In what seems a rather premature announcement, the 6D is marked as ‘Discontinued’ at Amazon UK – see 6D mk2 page for details. If you’ve thought about dabbling in large format printing – it’s great – see my 6400 review for more (I still have an iPF8300 for our work). However, if you’re unfamiliar with such printers, do have a quick look at some of the questions you need to ask about owning a large format printer. “Canon See Impossible is not only a rallying cry to the world, but to ourselves. It’s a chance for greater collaboration across the business, opening up further new business opportunities and a call on all Canon employees to collaborate and help shape the future of the company. To ensure that Canon See Impossible is truly embedded in the organization, we have structured our business units into three pillars, reframed by what they are empowering customers to achieve: Solve; Create; Diagnose. This reminds me to congratulate my long time friend Alistair (now a big cheese at MS in Seattle) on the birth of his daughter. 18th Some time ago I reviewed the Canon PRO-1 printer. Very good, but with some features that would be a real annoyance to me. Canon have released a firmware update, that increases print area, canvas support and ink level detection. The details are not clear, but it does not seem to completely remove the restrictions on top and bottom margins for fine art papers or change the maximum print length. The idea is to have a viewfinder that can be bright and clear when needed, but can be changed to enable mainly sharp areas to show up – making it great for manual focus and showing the actual depth of field you are likely to get (but at the price of a darker image). If you’ve tried manually focusing a f/1.2 lens on a modern DSLR, you don’t get the feel for how thin the DOF really is with a normal focus screen. This is partly why I use interchangeable screens on my 1Ds3. 12th Several short interview style articles with the 7D2 developers are published at Canon Singapore. Expect expanded versions of these to appear via CPN and other Canon info portals before long. 10th Some more detailed high MP Canon rumours are sent [to CR], suggesting that there will be two cameras and that $4k is the price area. As ever, I’d note that detailed rumours more than a few months out from any product need that extra pinch of salt. Looking back over what I’ve reported on this site in the past, shows similar bursts of rumours, all of which make me glad I never wager any real money on them ;-) Never a better time to re-read the first two paragraphs of this page above! This adds to what we were told (also probably from Photokina) on the 3rd, where it was mentioned for both Canon and Sony were likely to bring out multilayer sensors next year. 7th The counter was a bit of a dud, but see this about Canon’s new multiyear ad campaign hitting back against the camera phone at AdWeek – it’s about the people, not the equipment or some such ad speak. Did someone coding it, forget that the rest of the world uses different timezones? 5th What’s this from Canon US? THIS MESSAGE GOES OUT TO FEAR, DOUBT, LOGIC AND REASON. To excuses, distractions, procrastination, inertia, critics, cynics, realists, pessimists, resistance, conventional wisdom. To all of it, we apologize. Because we don’t see what you see. AT CANON, WE SEE IMPOSSIBLE. … what shall we see? A new photocopier? A 46MP 1Ds X? 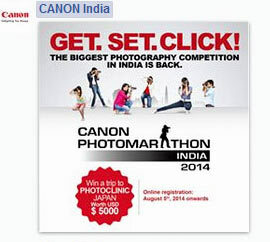 the Canon phone?, a photo sharing service? An example pixel structure was in an earlier patent. I’m minded to think that we’re seeing a lot of ‘what else can we expect’ rumours after what some saw as a lacklustre Photokina from Canon. Personally I think the 7D2 will be a success, since a lot of the whingers wouldn’t have bought one anyway, and that it will sell well. 3rd A lot of feedback from the other day’s mention of an EVF for the 750D (thanks). Most interesting was that several long time sources pointed out that we were getting close to Sony or Canon introducing their own versions of multi-layer sensors, and that next year would see them in some products. It was stressed though that these were only interpretations of comments/rumours heard at Photokina. I note that Canon has plenty of patents in this area (see below for some from this year), but so far has only used multilayer sensors in metering. If anyone remembers all the hype when the Foveon sensor first appeared, expect a lot of noise if either Canon/Sony[Nikon] do bring the technology into a mainstream product. 30th A bit more info in a translated interview [via DPR] that suggests that the 7D2 sensor, whilst superficially similar to the 70D, actually implements a new process technology that increases light collection efficiency. Canon have updated DPP and other versions of their software. DPP 4 still has limited camera support, so not only do you need to check version, they have also axed support for older operating systems. In the past they only supplied software updaters, but it’s good to see that some of their sites now have full disk images. Anyway, I keep a page updated, specifically with details of Canon software, with links and install tricks/tips for older versions. This was initially set up after I lost an install CD, and spent ages turning the office upside down looking for it, since you could only download updater software from Canon. 28th A suggestion that we will not see a 1D X mark 2 this year [CR] – not unreasonable, given that although it was announced in 2011, it was halfway through 2012 that it actually started appearing for real. My less optimistic view is that the 5D4 will appear in January with a few more MP than the 5D3. 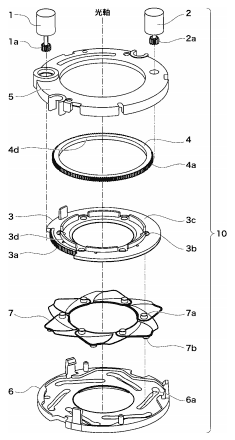 27th A Canon patent for making more of the camera body a heat-sink for the electronics [EG – Google xlt]. Useful if you want the sensor powered up longer without getting too hot. 26th A lot of conflating of the 46MP rumour from FM and that DPR interview on the forums, but as yet I’ve seen no more info of note. So a 1D Xs or whatever(such as just a plain 1D X mk2 at ~30MP) to be ‘announced’ in October, with a 5D4 appearing in the spring, but the 1D Xs not shipping until… shall we say June 2015? Surely Canon won’t try such massive delays again? ;-) Perhaps they could throw in a few imaginary lenses as well? There has been a surge in ‘High MP’ rumours of late – I’ve had a few comments sent in, but I’m on holiday at the moment, so will be catching up at the weekend. Interesting to see 46MP mentioned – that’s the sensor from my 100D scaled up to full frame. Leaf shutter lenses – not something you normally associate with DSLRs. Are there really enough people wanting the option of fast flash sync, and what lenses would you put it in? It’s worth noting that you find leaf shutters in medium format systems – are we ever going to see something announced by Canon in this area? Whilst we’ve been sent plenty of items relating to Canon Medium format over the years, it’s been a while since anything of real note was mentioned. Coverage here will be intermittent next week, since I’m on holiday (no, not photokina!). It even works (mostly) on mobile devices, unheard of when I first put this site together. Who knows, after running this site for over 10 years, I might even think about a redesign closer to home. 7th I’ve added a page for the Epson SC-P600 A3+ SureColor inkjet printer, and will be producing a detailed review as soon as we can look at one. 2nd I’d been wondering when we might see some new printers at 17″. As to Canon, nothing official yet but I’m now pretty sure* that the 7D replacement will use a version of the 70D’s dual pixel AF sensor (20.2MP) run at 10 fps, have built-in GPS, but not WiFi or tilt/touch screen and sport an all new 65 point AF sensor. *Pretty sure – for a rumour page that is! 21st Interesting article about the design history of the 1 series at CPN Europe. CPN: What do you see as the future for EOS camera design encompassing? For example, can cameras get smaller and even easier to use? If so, how might this be achieved? YS: “I previously said that I believe the optimum size among Canon cameras is the AL-1. I believe that the trend towards compact, lightweight equipment is a certainty among categories encompassed by advanced amateurs, and even professional equipment, [so] the entire [EOS] system will move toward a more lightweight form. 19th The Photokina rumours would have it that Canon are announcing a fast/robust crop sensor camera (7D2) whilst Nikon are probably announcing a D750 full frame ‘sports’ DSLR. What we don’t see from Nikon is any sign of a successor to the D300S, nor any sign of something to match/exceed the D810 from Canon. 17th Whilst Canon seem to be keeping a lid on announcements, a 5D mk4 looks unlikely with a 5D3 buyback offer in Germany (see 5D mk4 page]. 11th Should we expect significant advances in AF during burst shoting in the 7D2? 1st Canon in the US announce several new large format printers. Fast, but not aimed at the higher end. Note that these are the ones announced in the UK in April – more details on our Canon printer page. Thom Hogan’s off for a break and leaves a list of what we might expect to see for Photokina [TH] maybe even a D300S replacement. The decline in key areas of the imaging division doesn’t bode well (for any of the camera companies). 23rd A Sony patent [EG – Google xlt] looks at using variable sensitivity for pixels, reducing it as the pixel ‘fills up’ with electrons. This tails off the sensitivity for highlights, leading to a flattening of the response curve. The immediate practical benefit is that it makes it just that bit harder to blow out highlights (a bit like the shoulder of a film response curve). 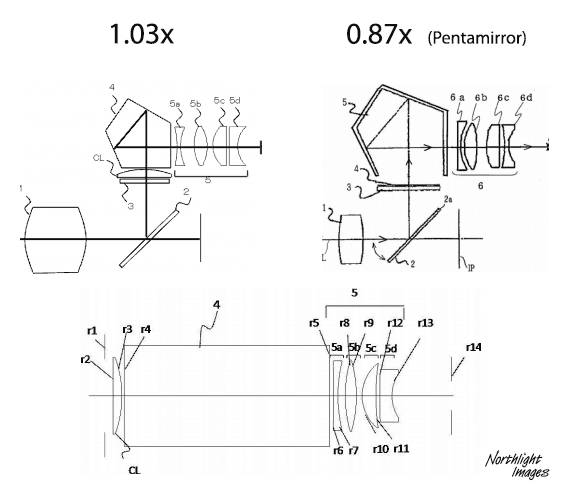 Unusually for a machine translation, not too difficult to follow – there are interesting considerations of the design criteria for both lenses. 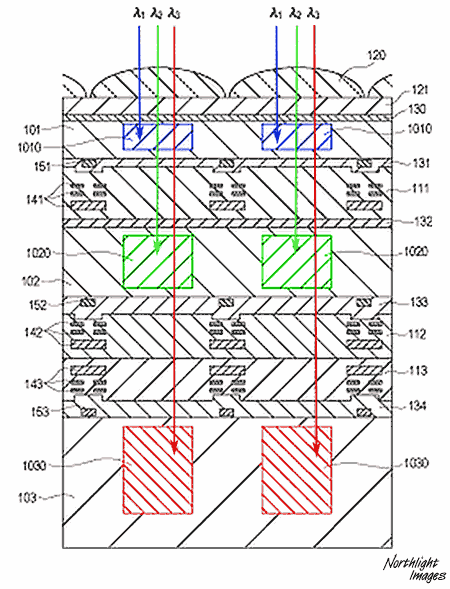 14th A new three layer sensor patent from Canon. This one looks at reducing internal reflections between the photo sensitive layers for each colour through the use of dielectric films between sensor layers. The issue addressed, is light of the ‘wrong’ colour being reflected from one layer into another, which reduces the ability of different layers to respond to photons of only a particular range of colours. This has the potential to greatly improve the colour accuracy and fidelity of such stacked sensor designs. It’s also been suggested that Sony will bring out a camera with a full frame monochrom sensor next year. The bottom diagram shows the ‘straightened’ optical path. UV and IR sensitive layers enhance colour fidelity, especially for skin tones – This is the jist of the patent I believe, but is from a translation. The pixel structure above, shows a BSI design (back illumination), but obviously no pixel structure. Extending the range of light response to UV and IR would cause issues for current lens designs, but the idea of more than three colour primaries is not new, although it would require a major re-write for support from RAW converter software. 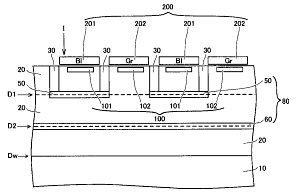 As an aside, I note that Canon had a multilayer patent appear before the 7D launch – this was seen in some aspects of the metering sensor. The 7D introduced a lot of technologies and design advances from Canon (the viewfinder and multi-layer metering sensor for example) so it’s not unreasonable to expect a lot of new features in a mk2 version that will subsequently appear in the 1D X2 and 5D 4 for example (and trickle downwards too). However, I also agree with those praising Canon for offering such a probuct for free – even if it does feel a bit like being given a free left shoe from a £300 pair . To say I find Canon’s lack of support for any of its older professional cameras as dismal, would be putting it very politely indeed. So If I use a 5D3 and a couple of 5D2s as backups/2nd cameras I have to use two different bits of software from Canon? Seems a big fail if getting more people to use it is the aim – If I had a 1D X I’d still be using the 1Ds3 for some work. Yet I can use it with a 6D? I still use a 1Ds3, yet have a 100D that does get used for a few shots on some jobs. Let’s hope that this is just a development resources issue and that Canon quickly address the issue of what is supported – I can appreciate limiting coverage at launch, but it’s not going to be popular if it persists. The new software improves on the previous version in such areas as an expanded adjustment range for highlights and shadows as well as enhanced basic functions. Providing users with more freedom when adjusting images, DPP 4.0 includes such new functions as 8-axis color gamut adjustment and an Auto function that automatically analyses the brightness and darkness balance of a histogram and adjusts the tones, or luminance, of an image accordingly. 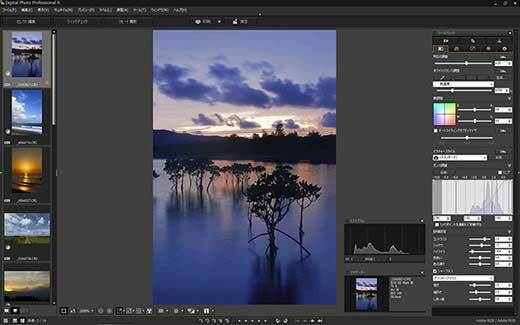 The new version of Canon’s DPP software delivers greatly enhanced operability and convenience during the image editing process. In addition to featuring an updated graphical user interface (GUI), the software is capable of displaying as many as 10,000 image thumbnails at one time. Further contributing to ease of use, the software lets users not only view selected images for comparison even in the preview window, but also assign ratings to images. Canon’s new upgraded EU 3.0 allows users to connect a camera to a computer via a USB connection or Wireless File Transmitter in order to remotely perform camera settings, transfer images and capture images. Delivering even greater workflow efficiency, EU 3.0 easily integrates with DPP 4.0 to allow users to select and compare images, enabling them to more easily choose the best shot, as well as make slight adjustments to camera settings and reshoot scenes. It will be interesting to see if Canon’s free software can gain many new users. Previous versions of DPP have always been a bit ‘clunky’ for my liking and not offered enough of an advantage over other software I choose to use. “United Kingdom, Republic of Ireland, 23 April 2014 – Canon today celebrates the 25th anniversary of the EOS-1 series, the Company’s flagship range of interchangeable-lens cameras. Canon’s EOS series made its original debut back in 1987 with the launch of the EOS 650, the world’s first AF (autofocus) single-lens reflex camera to employ a fully electronic mount system, capable of controlling functions including AF and aperture adjustment using electrical signals. Two years later, in 1989, the Company introduced its first professional EOS model, the EOS-1. Created to meet the advanced demands of professional photographers, the EOS-1 boasted cutting-edge technologies, class-leading levels of performance, new levels of ergonomics, high durability and reliability, and marked the inaugural model of Canon’s EOS-1 series. Since this time, Canon has continued to demonstrate its commitment to the photographic industry by evolving its flagship-model cameras in order to consistently meet the requirements of professionals in step with the changing times. In 1994, at a time when professional photographers began to rely on AF capabilities offered by SLR cameras, Canon launched the EOS-1N. Compared to its predecessor, the EOS-1N provided a greater number of focusing points and increased predictive focusing when tracking moving subjects. In 2000, the Company introduced the EOS-1V which featured a brand new 45-point high-density Area AF system delivering high-speed predictive AF of up to 9 frames per second. With the dawn of the digital era, in 2001 Canon launched its first flagship professional Digital SLR (DSLR) camera — the EOS-1D, followed by the full-frame EOS-1Ds in 2002. Canon’s current flagship professional DSLR camera, the EOS-1D X, was brought to market in June 2012, and marked the EOS-1 series’ 13th model*. Offering an unparalleled combination of speed, resolution and image quality, the EOS-1D X has continued to garner strong acclaim from professional photographers working across a wide range of fields, from photojournalism and sports coverage, to commercial and nature photography. 2nd I’ve just finished a review of the Canon EF-S 10-18mm lens I recently got for my backup 100D – rather good quality for a relatively cheap lens. I’ve just written a review of some Canon DSLR tethering software that has some interesting functionality, such as split live view and focus bracketing. Kuuvik Capture – Mac only, but if you want a Windows version, they want to know. Do check out [FR] for Fuji related rumours though. The £400 offer I mentioned yesterday, is actually a £400 discount on the price of a 1D X -after- you have traded in your camera from the list. In the UK Canon are offering a £400 trade-in, if you buy a 1D X via an approved dealer (see link for Ts&Cs – runs to the end of June). Whilst my 1Ds3 is still worth considerably more, some cameras on the list are not. Time to move up from that old 1D or Nikon D1H? So, are 1D X sales a bit sluggish? Seems a bit early to be clearing the channel for a replacement that shows no sign of imminent arrival. On a related matter, one of the dealers participating, is Park Cameras (where we buy our new Canon gear) and they have just announced a couple of events at their stores in June. The ‘Imaging festival’ will be held on the 14th June at their Burgess Hill store in West Sussex and on the 21st June at their new store in Central London, just off Oxford Street – presentations, offers and deals – See Park Camerasfor more. 19th Another excellent view of the camera market from Thom Hogan. As someone involved in technology research and business matters for quite a while in the past, I have to agree with much of what he says about the camera companies just not ‘getting it’. 7th The state of rumours? At last, some lens rumours (two wide zooms) that seem to have a bit more robustness to them. If you’ve been following rumours for any time you’ll notice a distinct change (more detail for example) when we’re close to a product announcement. I’ve now been running the rumour pages for over ten years – the first one was actually for the Epson SP4000 printer in 2003. 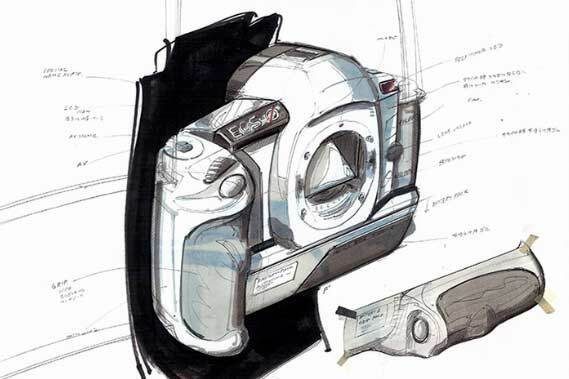 The first camera rumour page I really put up (June 2004) was for the 1Ds mk2. My only request to anyone reading from Canon is for a camera to replace my (still excellent) 2007 1Ds3 before too much longer (the 1D X doesn’t count) Oh, and a very good ultrawide zoom, and some new TS-E lenses. The technique is not without problems, but shows where people are looking. The rolling off of response at higher light levels is closer to our own visual response (and film at the top end of its response curve). 30th More sensor talk [CR], but no detail. Some of which have panned out (the multilayer sensor that subsequently appeared in the metering system of the 7D). Many others that probably only made it to patent ideas.. There is a suggestion [CR] that there is a new generation of full frame sensors on the way from Canon, and that they may have some ‘multi-layer’ (aka ‘foveon) style pixels. In terms of sensor info, we were told a few weeks ago (13th) that there were some delays in new sensors? All companies are looking at different non-bayer solutions (there are regular patents covering new ideas). So, who’s going to be first with a major non-bayer announcement? After a lot of testing, I’ve produced a new updated version of our free black and white printer test image. 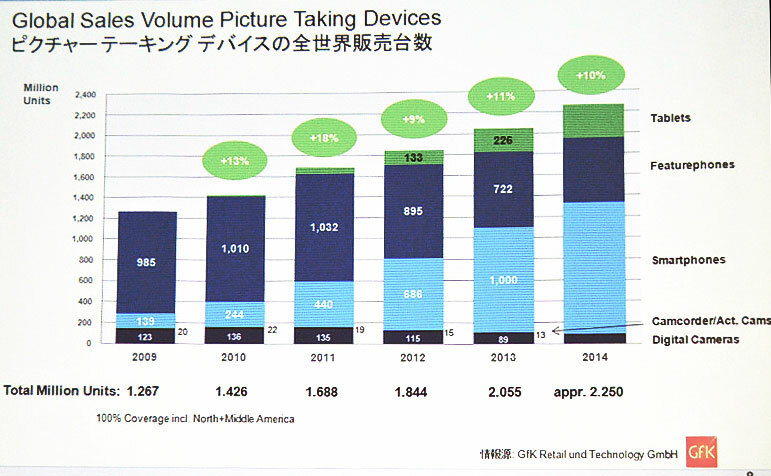 25th A presentation [PDF] of Canon’s figures for Q1 This is what they intend doing to address the decline in camera sales… Expect more EOS-M and Rebels this year? There is a bit more info about Sony curved sensors [ISW]. You may remember the G1X II announcement from back in February? Well, so did Canon Hong Kong, and they just announced its availability. I note that “Camera sales, however, fell by 22 percent year-on-year in the quarter” – ouch. 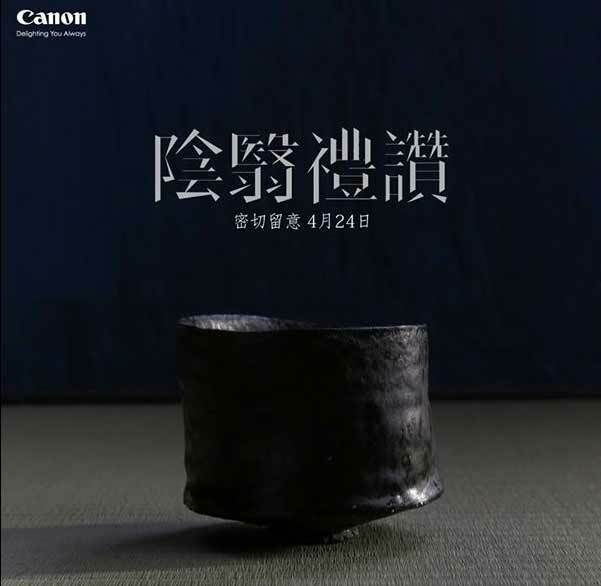 22rd Canon are announcing something on the 24th – that’s about all you can say after a cryptic announcement on Canon’s Hong Kong FB page. Expect plenty of press releases from winning advertisers manufacturers. So, what relevance do ‘industry awards’ actually have to the rest of us? How many people still read photography magazines? When did you last look at a product and change your opinion in any way, as a result of some award? The Golden Pineapple is from a recent short article where I wrote about the difficulty of writing reviews of new products and why that is actually a good thing. The numbers for 2014 suggest a very steep decline in the basic compact market and slight expansion of the better non-DSLR cameras. Many of the purchasers of the higher end cameras are getting to a ‘this will do for quite a few years’ point and with the crash in compact sales, you wonder how many camera companies we’ll have in 2-3 years. This morning also sees the announcement of the Pentax 645z, with the 50+MP body at a very reasonable $8500 – will this see a move into larger sensor offerings from Canon/Nikon/Sony? Sony make the sensors, so we may well see something there. What difference does the 645z make to 35mm users like myself? Well, if they had a tilt/shift lens with the coverage (and quality) of the TS-E24 available (TS-E17 preferred though ;-), I’d be seriously looking at getting one for our architectural work. If Canon were to offer a 30-40MP 1 series body, then that would see off MF for a good few years for me, but the 645z is the first MF camera I’ve seen where buying one might be a reasonable business choice. Whilst wondering about the overall market for photography (which after all is what puts food on my table) I’ll include this second slide from the presentation above. This time about the rise in numbers of photographs taken – what does this mean for anyone wanting to earn a living? Whilst manufacturers do give some advance marketing notification (for sales forecasting and the like), there is rarely any detailed model info. 13th In an interesting set of information we’re told (thanks), that manufacturing issues (yeild was suggested) with the dual pixel design of the APS-C sensor in the 70D have delayed the launch of the 7D mk2 -and- the 750D and 100D replacements. All are dependent on having sufficient volume of sensor chips available at suitable price/performance points. 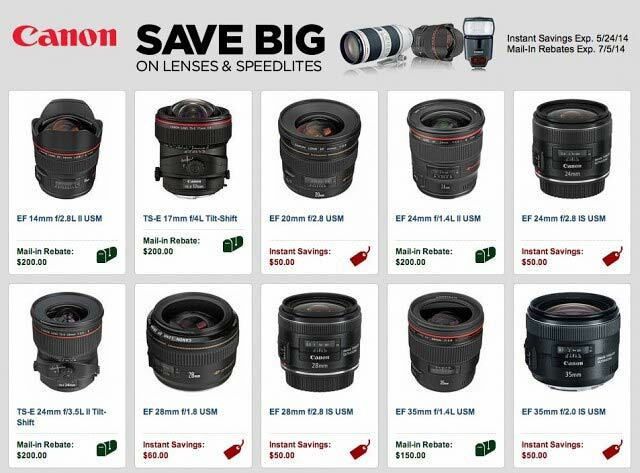 The information was passed along to several larger (European) dealers querying Canon DSLR camera availability for later this year, especially the holiday season. All three cameras were loosely slated for Q2 release, but are now Q3. There was no news of a ‘big megapixel’ body only that the replacement of the 1D X was ‘on schedule’. Once again, if any of our dealer contacts can offer any more details? they would be most welcome. I’d note that the yeild explanation was only what our source assumed was meant. Whilst it’s a photokina year, the timing of announcements seems much less tied to trade events than it was a few years ago. 10th Foveon Quattro chip info [IR] – is it really equivalent to 36MP? At TDP there is a 1D w – wildlife camera including a 200-600mm f/4L W IS Wildlife Edition lens. Both feature “Realtree Outdoors” camouflage. At CR someone got in early with a Canon phone camera. Unfortunately, this one is all too plausible give the big shake-up in the camera business, and Panasonic’s recent business activities. 28th No signs of DSLRs in the near future, but there are some suggestions of new video (C200/400) at the upcoming NAB show[Video page]. 26th When is the 3D not a 3D? When it’s the 5D mk4 – a suggestion that a ‘3D ‘ [3D page] will be along later this year. As an aside – the Digital Black and White photography Linked In group that I run has just reached 6000 members. 24th A Canon industrial camera unit (15MP monochrome) that uses the Nikon ‘F’ mount [CW] – nothing new with this, the F mount is a widespread choice for industrial lenses. 22nd The Canon PRO printers are well built (I’ve reviewed the PRO-10 and PRO-1) and I see that the PRO-100 is currently on offer for a total of $40 (you need to add to the basket to see the price – and do check that fine print! ), this includes 50 sheets of Canon SG-201 Photo Paper Plus Semi-Gloss, 13″ x 19″. [Adorama]. As noted on the main Canon printer rumours page, the PRO-10 and 100 were announced in September 2012, so this looks more like a push for sales than any imminent replacement. 16th If you’re interested in noise reduction, the Topaz Denoise plugin is half price this month, and I’ve just written a short review. Calumet in the US closing all its stores? [PR] Not Europe though. 6th A UK cashback scheme from Canon runs from 1st March to 7th May, includes the 5D3 (£150), 7D (£100) and 700D(£50). Several lenses and PRO printers are included. Even more dismal numbers… Initial figures for 2014 [PV]. 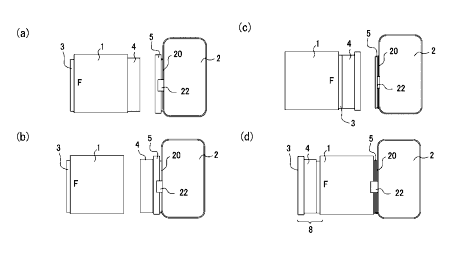 5th An interesting patent from Nikon for a modular camera system [EG – Goog xlt]. 2nd There appears to be a bit of a ‘pile up’ of camera announcements due this year -if- previous timescales are any guide (see the Canon Timeline at the bottom of this page for a graphical view). With the 1200D adding to the range of 18MP sensor cameras (7D, 100D, 700D, 1200D) there is obviously room for a ~20MP 7D2 before too much longer, with plenty of whistles and bells and a 750D in the summer (18 months from the 700D). The 100D (Jan 2013 launch) has no history, so might run till 2015, allowing Canon to continue dropping the price of what is a very nice little camera. The 1D X was announced in October 2011 (even if it didn’t ship until Jul 2012), so a three year cycle would suggest a 1D X replacement this year. However, new firmware and the D4/D4S mid cycle update last month might push the 1D X mk2 into 2015, where it comes up against a possible 5D mk4(5D3 announced March 2012) and a D5 (likely 2016 where the D800 [Feb 2012] will also be 4 years old). Then there is a possible high MP Canon camera, that’s been mentioned for this year too. 28th Canon in Japan mention that they will be bringing the EOS-M2 to Europe and maybe the US. An interview [IR] discusses this and the challenges of on chip AF. 26th I hear that if you visit the Canon Stand at ‘The Photography Show’ [UK] there will be a prize draw for a brand new iPF6400 24″ width printer, but you need to find the large format print people, not the camera guys. 23rd Canon US info about the new 1D X firmware, includes PDF guide. 22nd Have you ever thought of getting a large format printer? If so, then I’ve written an article about some of the issues and questions you might want to consider first: So, you want to get a large format printer? 21st There are suggestions of new PRO printers from Canon – I note that the PRO-1 was announced a few days after the 1D X in 2011. 20th There appears to be more chat on the Chinese Xitek forum about a camera from Canon that will do 4k and pushing 40MP, but once again, no details. It seems too that the sale of 60% of Phase One [MF info page] to an investment company probably makes any suggestions of an imminent connection with Canon less likely. 10th After all the fuss over the rather fake looking G1X II image (mirrorless page) it seems as if the EVF part might have been real (as was suggested) and called the EVF-DC1 and that we will see it later this week. This includes all the film EOS cameras produced since 1987. 3rd Thom Hogan has written an excellent article about questions faced by Nikon, and some suggested answers. [TH] – I can certainly think of a few similar ones for Canon. For example, it would be nice to have an ETTR exposure mode added for those of us who never use JPEGs? Hasselblad expand the ‘gold plated Sony’ range still further with a $11,500 version of the A99 full frame DSLR, the HV. Of course you could just pay ~£5k for the one and a half year old Sony and lens [TDP]. 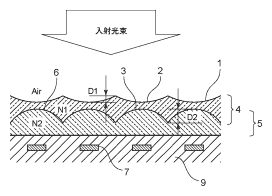 A Sony patent for a voltage controled carbon nanotube layer to act as a shutter or variable filter. Goes between the microlenses and filters. Expect Digic 6, which we’ve been told is an essential element of several upccoming cameras this year. See the DSLR timeline below for the lifetime of previous Digic versions. 1st Pre December 2013 posts have been archived. All our rumours, from 2004 onwards are on archive pages. I’m never sure if anyone ever checks them, but I suppose it’s my academic background that doesn’t like to see information lost . 21st Yes Bob, it’s actually all about “…ergonomics, menu system and skin tones”. I’ve used Canon kit for years – when I went digital the 1Ds was the only full frame option. The one lens that keeps me with Canon, and avoids any thoughts of experimenting with a D800 is my TS-E17mm (the EF8-15, EF14, TS-E24 and MP-E65 all back this up) Obviously YMMV, but ‘menu system’ ??? I’m reminded of Nikon’s UK ‘switch program a few years ago (just before the D3X) where they ended up with a lot of white lenses and cameras. AFAIK the bodies were sold on, but any white lenses were crushed for scrap. 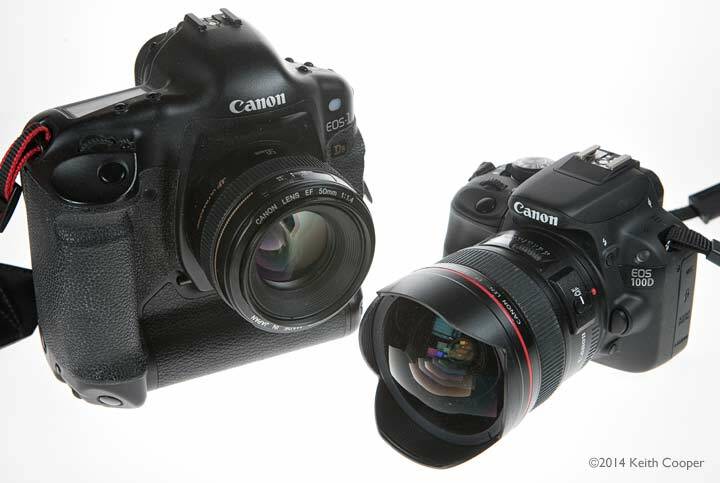 Also suggested are two more DSLRs this year, one of which would be the 7D2 – no info on the other. I note that the 700D is now a year old and that not since the 400D has the ‘Rebel’ line not had an annual update. It could be said thought that changes in the last few cameras 600/650/700 have all been pretty minimal. Given we were told that there ‘were no plans to update the 1100D’ will this be an entirely new model? Could this be the end of the optical viewfinder? A ‘rebel’ 750D and maybe an update (150D/SL2) to the 100D (SL1) – both were announced in March 2013. Moving both away from the 18MP APS-C sensor would leave the 7D standing out on its own, and we have heard that supplies of the 7D are low in parts of Europe. Also a firmware update to the 700D (bug fix) has just appeared. We’ve also had a suggestion that CP+ and the Olympics will see the announcement of several products, including a 7D replacement. (Reuters) – Canon Inc is shifting capacity back to Japan in an apparent vindication of Prime Minister Shinzo Abe’s yen-weakening policies, which have made it more profitable for some Japanese manufacturers to produce and export from home. Time to cast your eyes over the Canon timeline? 8th If you’re after a bit more informed prediction and analysis of the camera market, have a read of some of Thom Hogan’s thoughts [TH] …somewhat more reliable (IMHO) than many of the discussions you’ll see in forums. 6th Canon announce some compact cameras/camcorders at CES [Adorama link]. It’s good to see that their definition of ‘wide angle’ seems to be moving down from ~28mm (equiv) to a more reasonable ~24mm. One camera even has two sensors, so as to record your expression when using it, leading to the suitably saccharine. Such marketing events tend to be aimed as much at spiking competitors news as much as they are for actual product news. If it’s true, since CES is not the place you’d expect flagship ‘pro’ camera announcements, then you wonder what and who it is directed at? A ‘souped up’ D4 would likely be widely seen at the upcoming Winter Olympics. There will likely be a D3300 from Nikon and some lenses this week. 4th No sign of anything but ‘consumer’ related announcements in the forthcoming week, from Canon. I’ve just taken advantage of a very good deal (and the Canon UK cashback) to get an EOS 100D body. Expect numerous announcements next week from different manufacturers. 2nd Happy New Year to all our visitors! 30th Only Canon/Nikon/Sony to survive the next few years as camera makers? An [NYT] article [via Reuters] retreads this currently popular path and includes some comments from a Credit Suisse analyst suggesting dire times ahead for the camera industry ‘also-rans’. There are more indications of a Nikon flagship announcement [D5 page] – what’s to come from Canon? 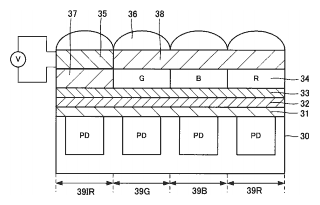 24th Another sensor patent from Toshiba has R+B and G pixels. If you look at examples from earlier this year [July], you can see other Toshiba patents, looking at alternatives to the standard Bayer approach. 22nd Looking at the chart below, I was truck by just how much the 1100D extended the price range of Canon DSLRs downwards – did people still want this 12.1MP camera? Number one in all DSLRs is the T3i (600D) and number two the T3 (1100D). The 600D also tops the ‘all camera’ wish list. For myself, I’ve no difficulty with a sufficiently good EVF for my static work (such as architecture) where having a zoomable liveview, visible in daylight, that didn’t require me to use my glasses would be useful. The optical side, if this was at ‘1 series’ level, needs to be at least as good as the 1D X, and accept interchangeable focus screens if it’s not to be viewed with some scepticism. I’m not sure whether Canon would introduce such a change at ‘flagship’ level or more at the 7D mk2 level (the 7D was the debut for several technologies). 20th After being told that the 1100D would continue ‘for some time’ before fading away [1200D page], I looked at today’s UK DSLR body prices for Canon. The 1100D body only price is down to ~£220 in the UK, and I’m minded to think that Canon is quite happy to have this DSLR at this price point until the 100D is replaced and the 100D can be slid downwards. Related to the mechanism of the 100D? 12th New version of DPP adds Digital Lens Optimizer applicable lenses (see Canon s/w page). Reports of a European dealer now listing the 7D as ‘no longer manufactured’. 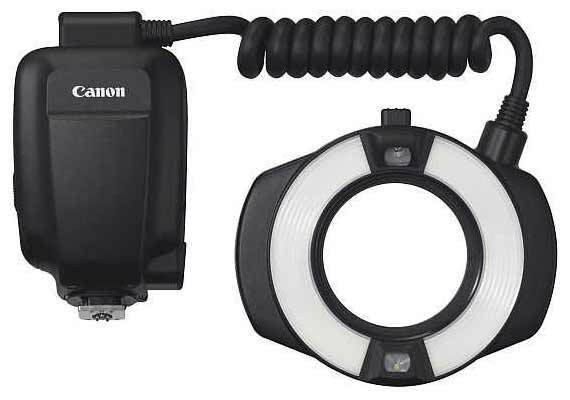 Fixes a phenomenon in which the image files cannot be transferred using the FTP protocol via USB cable after the Canon EOS 7D camera has established a wireless connection to the Wireless File Transmitter WFT-E5A. 5th I’ve got all my new Canon kit from Park Cameras in the UK for several years and wanted to wish them luck with their announcement of a new camera store in central London, just off Oxford St. It’s good to see a ‘real’ camera store after the demise of Jessops and Jacobs, I hope it works for them. The last week has hardly made anything much clearer from my own POV – even long standing sources disagree. It’s been a while since I’ve seen such directly conflicting information. If I give -some- credence to both versions, it could well reflect differences in timing. As one of the many 1Ds3 users who didn’t consider the 1D X more than a full frame 1D mk4, I know I’d -like- to see a ‘studio’* camera (my 1Ds3 is exactly six years old this week), but I’m not expecting anything soon.